I am trying out some new software and workflows and rather enjoying the process. I have switched from a haphazard way of storing information to Evernote (this link will take you to a referral page where you get a free month of Evernote Premium and I get points that will get me free Evernote). Actually, it is not entirely true about switching. I have not fully switched but am in the process of switching. And I’m going to share the tools I have discovered and am using. A few years ago we purchased a document scanner for the house. Document scanners are pricey, but worth it. We are now able to scan all of our bills before paying them, as well as any important documents we need to keep a record of like insurance cards, mortgage documents, and contracts. We have very little in the way of paper in the house and a mostly-empty file cabinet. 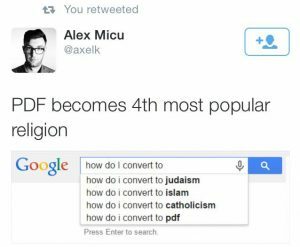 All of our documents live inside computers now as PDFs with few exceptions. Even stuff that we have ot keep paper records of is scanned and filed. The scanner we have is a Fujitsu ScanSnap. Great piece of hardware. The included software isn’t bad for basic organization but leaves a good amount to be desired when it comes to organizing years and years worth of stuff. Basically, ScanSnap it’s folders and keywords. Keywords is clumsy at best, and although folders can be nested any amount, this requires a lot of planning to get right. One of the best features of ScanSnap scanners is that they come with Adobe Acrobat, and this enables not only scanning directly into a PDF file, but the ability to apply OCR to make that PDF searchable. The Fujitsu software does have the ability to scan directly into Evernote, which adds all the great Evernote organization features such as simpler folder management and tagging. I use an “inbox” folder in Evernote for all of my scanned items and then process them there, adding tags, moving them into other folders, etc. It makes bill paying pretty easy (tagged “unpaid” or “paid”). Evernote Premium had a PDF annotation feature (so my bills can be tagged “paid on DATE”). In addition to supported documents, Evernote has a pretty decent built-in editor in both the native app and web client. It is good for for just writing notes, but I prefer to use Markdown to do my writing. Markdown is great for things that will eventually become HTML or a PDF. It has a good number of limitations, but fits the bill for 98% of what I write, including technical stuff for work. Evernote doesn’t have native Markdown support (boo) but there is an excellent editor available called Marxico. It’s $15 a year to access all of your documents, and it works great if you have a Markdown preference. There are even native Windows and OS X apps available, in addition to in-browser editing and my favorite, a Chrome app. The Chrome app works great on all desktop OSes including Linux. Marxico has a few shortcomings, though. As Curtis McHale points out there is no iOS or Android client for Marxico, and because you can’t edit Marxico-created documents in Evernote, editing on mobile devices is impossible. McHale also points out that Marxico cannot import previously-created content from Evernote. You can export Marixco to HTML and import that HTML into Evernote to edit, but the formatting is limited and the content cannot be imported back into Marxico. This isn’t as much a limitation for me since I have no real previous Evernote content and anything that I might need to “edit everywhere” I can simply create in Evernote. Marxico is only one tool in many that I am starting to use with Evernote. It works great for lots of writing and I know I can always adapt my workflow. The idea of being able to write in Markdown and organize my writing in one place is a huge win for me. Rather than trying to know everything about Evernote before I dive into it, I guess I’m acclimating as I use it. I try to stay aware of things I’m doing online and if there is anything about that I need to save. If I do, I use Evernote to save it. My notebooks are still a bit disorganized, but the blessing of a blank slate is that I can rearrange things as I need to. the curse, of course, is that it’s up to me to create structure. We’re starting to search for a place to buy or rent, and I’m using web clippings in Evernote. There is a great Chrome plugin that makes it super easy to save the page I am currently looking at. It’s a lot like browser bookmarks on steroids with the ability to capture the page. Like I said in the opening, I’m enjoying the journey so far and forcing myself to think about how I store stuff. If you’re curious about Evernote, don’t forget to try it out. It’s also worth noting that I am not shilling for any of the products I have mentioned here. I paid for each of them and am a happy customer. I do have the affiliate link for Evernote, however. Special thanks to Sunny Insocal for reminding me about Evernote.